When I wrote my first amateur-sleuth mystery, The Prairie Grass Murders, I chose central Illinois for a large part of my story. I grew up there, was familiar with the terrain, and felt I could make setting important enough to the story that it would almost qualify as a character. To accomplish that goal, I made an element of the native flora and its environmental issue a key part of the plot. The tallgrass prairies have slowly disappeared under the onslaught of farms and towns, factories and parking lots. Attempts to recreate stands of tallgrass prairie and invite the living creatures that inhabit those fields to return have been quite successful. Apparently the land does not forget its past. The campground was named in honor of one of the past presidents of the Champaign County Forest Preserve District. Harry L. Swartz was instrumental in focusing the District's efforts toward the preservation of natural resources around the Middle Fork River in Champaign County. The Illinois Nature Preserves Commission works all over the state in conjunction with individuals, towns, and counties. There is a section of tallgrass prairie preserved at Middle Fork, part of the Champaign County contribution. Is there a better reason for me to use that part of Illinois where I grew up as the setting for some of my books? Once I started writing, I needed more information about that part of Illinois, including better definitions of tallgrass versus other grassland flora, the trees and shrubs so common to the area, even wildflowers. I began my search at the library and at the sites of online booksellers. 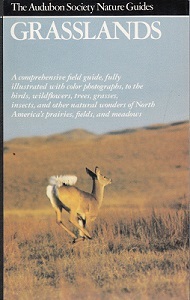 The best book I found for my purposes was The Audobon Society Nature Guide called Grasslands. In addition to the wildflowers, trees, and grasses, this guide includes information and photographs of the birds and insects of these lands. Toward the front of the book is a map that shows the historical locations of tallgrass prairie, the mixed prairies, shortgrass prairie, desert grasslands, intermountain grasslands, and the California Grasslands. If you write books set anywhere from western Indiana to California, this guide would be a great source of information to add depth and authenticity to your descriptions. Stretches of undisturbed tallgrass rolled and undulated in the breezes much like the waves of an ocean, and the sight was often disconcerting to pioneers who felt as though they were setting sail in rough waters. The tallgrass prairie lands of Illinois are part of a Prairie Peninsula as the grasslands jutted into terrain surrounded by forests. Fascinating, right? We won't even get into the bugs and rodents that frequented these grasslands. After all, the Blood-Red Pencil theme this month is flora. The bad/good news about the nature guides is they’re not that easy to find. The one I used, Grasslands, is available used online and this may be true of the others as well. If you can find a copy of any of the nature guides that would be helpful to your story, grab it up and treasure it with your best writing resource books. Used book stores, library book sales, and online booksellers are your best bet. This is a very interesting post. 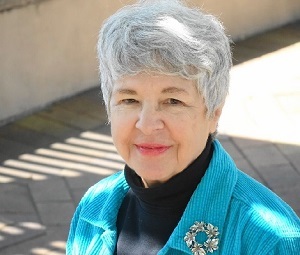 Not only is it rich in potential resources for learning about area flora, it shows how plant life can be utilized as an integral part of a story. You also mentioned the waves of tall grass that were probably disconcerting to pioneers traveling through the area. I remember traveling through Kansas just before the wheat harvest. The breeze created quite the scene as the "amber waves of grain" moved gracefully back and forth like waves of the sea. This is an excellent post, Pat. Thank you for sharing resources that can add authenticity to a story. Even in fiction writing, realism demands careful attention to such details. Thanks, Linda! I consider setting an important part of a novel, so try to be aware of what my characters see, smell, and hear wherever they are. This is an area where your local library or historical society can be invaluable. You may find resources there you wouldn't be able to research online. I still love to wander into a library to do research. As for historical societies, I found good Illinois contacts on Facebook through the bicentennial and regular historical organizations. From there I was able to track to their websites and review some of the interesting articles they've posted over time. I'm sure they have archives of print material too, if I ever get back to Illinois on a research trip. Nice post, Pat, and very visual. As much as writers depend on online information, getting deep into a subject like yours requires deeper research. Your post also makes me realize what a city gal I am.